VITEEE Result 2014 was declared online on May 1, 2014 (Thursday) instead of April 28, 2014 (Monday). 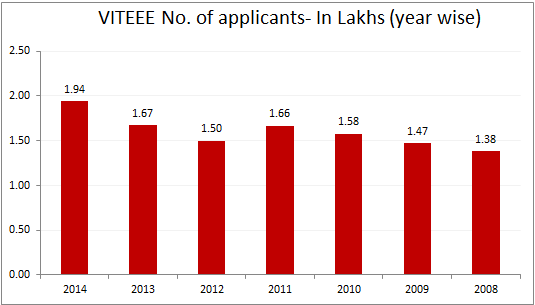 A total of 1,93,790 candidates had registered for VITEEE 2014 Exam. The VITEEE rank would be available online and the also an SMS would be sent to the students on their registered mobile number. The rank list will be prepared purely based on the marks scored by the candidates in VITEEE. Candidates who have taken the VITEEE 2014 Exam can check their exam online here on April 28, 2014. 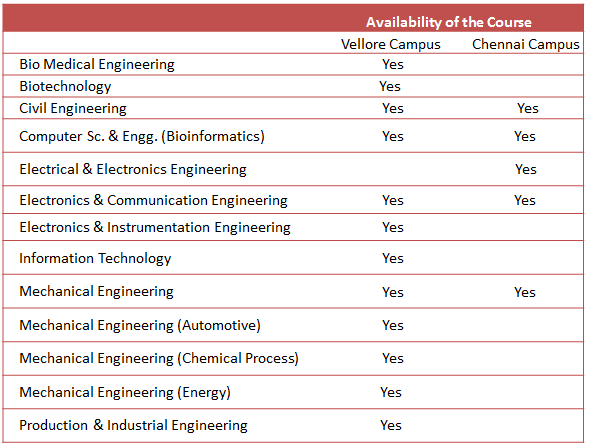 For admission to Engineering Course in VIT University only VITEEE Score and Rabk would be considered and no other score would be considered. How to Check your VITEEE 2014 Result? Your VITEEE Result with All India rank will be available on the Screen. You can take the Print out for your reference. VIT University has no provision to send the marks by post of the candidates(selected or unselected). At the time of publication of the results, the rank will be intimated through SMS, if the mobile number of the applicant is provided. The photocopies of the answer sheets will not be made available. The Student has to be present at the Vellore or Chennai Campus for Counselling.